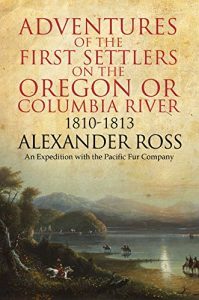 This is a fascinating narrative of early American exploration to the mouth of the Columbia River in what is now Oregon. John Jacob Astor send a group of men to this part of the new United States in 1810 to start a fur-trading enterprise. The author, Alexander Ross, was part of the crew who braved the elements and the Native Americans to extend Astor’s business empire. 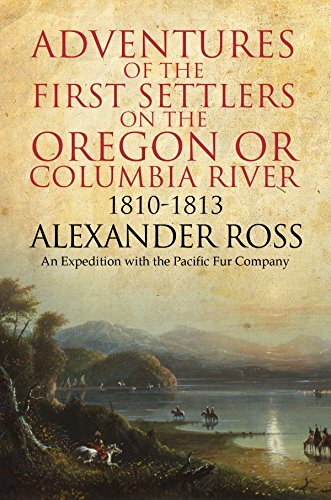 I recently read Peter Stark’s book “Astoria: Astor and Jefferson’s Lost Pacific Empire: A Tale of Ambition and Survival on the Early American Frontier.” It was an excellent account of the trips and the outcome, but Ross’s “Adventures” is a first-hand account of these actions. 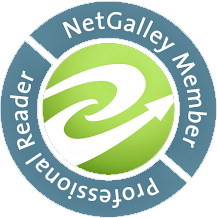 I was delighted that it was so easy to read, even after 167 years. He describes the landscapes, the tribes, the good and bad choices that were made by the leaders, and even injects some humor in the story. 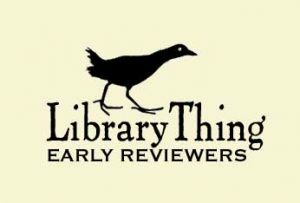 One consideration that I especially enjoyed was the interaction between the explorers and the natives of disparate tribes along the Columbia. Some were welcoming and helpful and some were not. The hardships these men had to endure were horrifying, which gives the reader some idea of what people did to carry out manifest destiny. This is in no way an homage to Astor, either, as Ross wrote about the poor judgement and lack of empathy of the New York merchant while planning the venture and especially while choosing his leaders. Highly recommended, especially as an adjunct to the Stark book, for those interested in western exploration and early America.